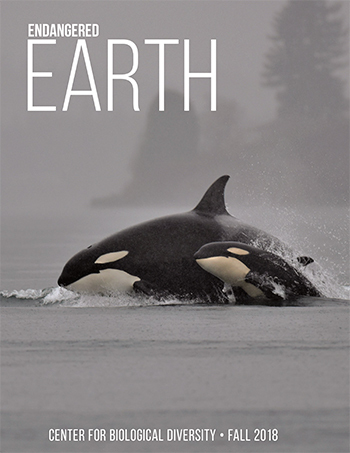 Endangered Earth is the membership newsletter of the Center for Biological Diversity, published three times a year in January, July and November. To subscribe to the print edition, become a member of the Center today. Read our membership newsletter now.